sometimes requested to indicate whether a particular message is effective. Not all Microsoft messages offer this feature. 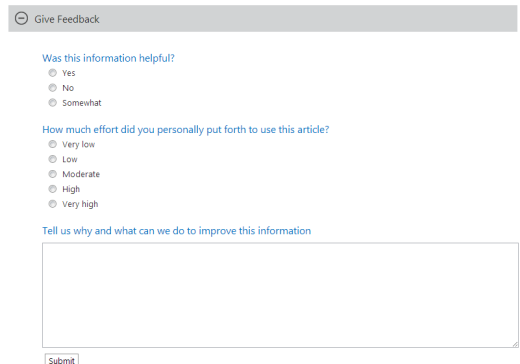 How does Microsoft determine which messages deserve this treatment? What internal workflow accompanies the feedback received? If changes are made to the message, how are the proposed changes evaluated prior to release? Will they be improvements or simply add to the confusion?